The convenience of fast food has definitely taken a toll on the health of Americans. We all know about the ease of going to the nearest McDonald’s chain restaurant and we all know that the food available isn’t the healthiest available to us. But when we’re on the go, are we really looking to find something healthy? It’s all about convenience. High fat diets have proven to be extremely unhealthy as they usually cause weight gain. Excessive weight gain can lead to a plethora of problems including heart disease, high blood pressure, high cholesterol and many others. A lot of people don’t think of it but excessive weight also contributes to problems with snoring and sleep apnea. When a person is overweight, fat deposits in the neck and throat put pressure on the airway, contributing to sleep apnea, and tend to vibrate, exacerbating snoring problems. Sleep apnea dentists see this type of sleep apnea far too often and while there are several different ways to treat the condition, when it comes to obesity-related Causes Of Sleep Apnea Omahasleep apnea, part of the treatment should be to lose weight which will at least mitigate some of the symptoms unless there are other underlying causes. But as it stands more and more Americans are becoming obese especially the young generation. To target younger aged children in hopes of slowing down what some people consider an epidemic of obesity, San Francisco has decided to do away with fast food meant for children. 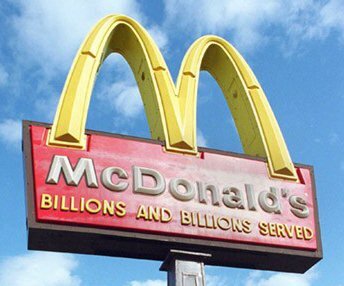 The city has passed a bill that bans Happy Meals and calls for the well-known fast food chain McDonalds to find ways to offer a healthier meal option. This includes lower calories, lower fat, and provided fruits and vegetables. Whether the action will help or not is unknown, but the fact is that these bills are increasing the overall awareness of how obesity can lead to health problems such as obesity-related sleep apnea. With a healthy diet, you can avoid obesity-related sleep apnea and snoring.